The Written Word(s): 5 Books I Should Start Reading ASAP! Like all fellow bookworms, I have a TBR list that's long enough to keep me from purchasing books for a long, long time - and yet, I just went to the bookstore yesterday and picked up two new hardcover YA novels :P And I feel no shame, because I know all of you - yes, ALL OF YOU - are guilty of doing the exact same thing, if not coming home with even larger book hauls (honestly, if I could find the 2nd gift card I received for Christmas, I wouldn't have stopped at 2 books XD). I really want to get back into reading this year, one of the reasons being I love writing about books and posting reviews on here. 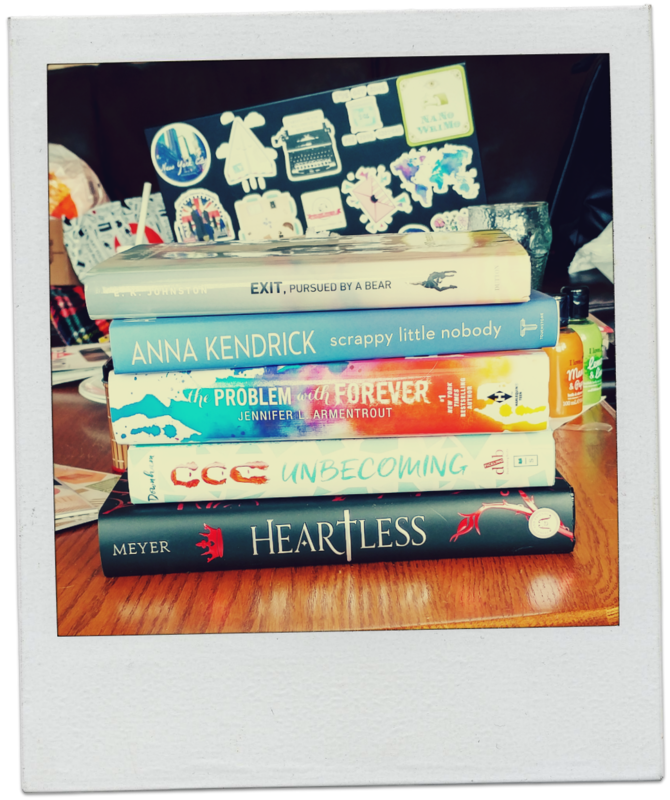 Here are just a small handful of books currently on my TBR list. 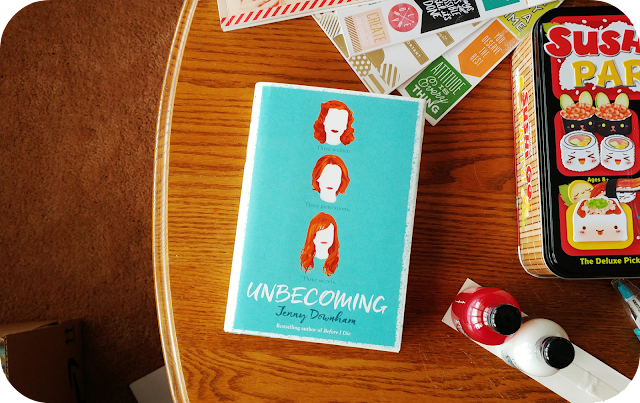 #1: Unbecoming by Jenny Downham! I remember eyeing this book the last time I was able to visit the bookstore (before Christmas, when I wasn't allowed to buy myself anymore new stuff and had to resist the urge to buy books with every fiber of my being). Something about this book stuck with me, and I found myself being drawn towards it again during my recent shopping trip to Coles. I think one aspect that has me curious is the grandmother in this story with Alzheimers. My grandmother does not suffer from this affliction, but she does have trouble with her memory, so I can understand to some degree the frustrations that exist alongside any sort of disease that impacts the memory of a loved one. It looks like a really interesting read, and I'm sure I'll be diving into it fairly soon. 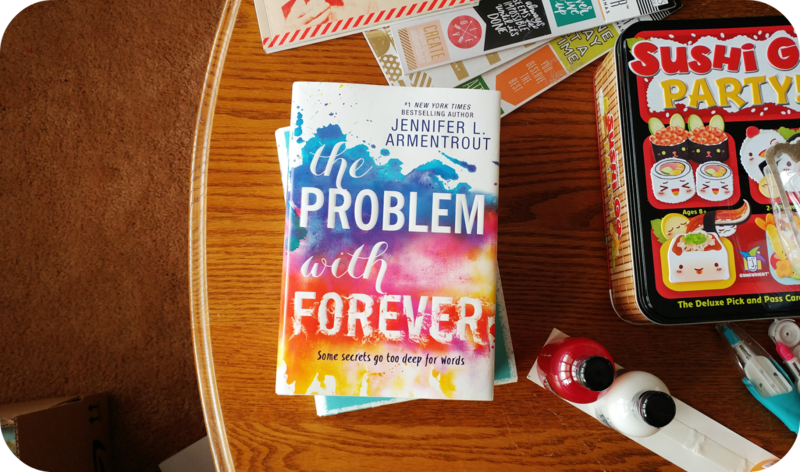 #2: The Problem With Forever by Jennifer L. Armentrout! This is the second book I picked up yesterday from Coles. It isn't one I had heard of before, but it's one I saw listed as one of the 'Top Teen Titles of 2016" on the Chapters/Indigo website, and I decided to take a look. 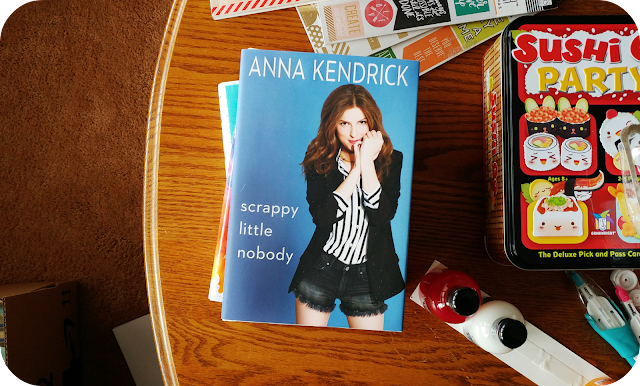 I think it's because of my recent enjoyment of the title If I Was Your Girl that has me intrigued by the female protagonist and what sort of event/tragedy might have happened to her..
#3: Scrappy Little Nobody by Anna Kendrick! I'm a bit of a sucker for any film starring Anna Kendrick, though I regret to admit that I haven't actually seen too many of them just yet. I really want to see The Last Five Years, and that movie's on my To Be Watched list for sure :P I received this book for Christmas, and it's the only non-fiction title that made its way onto my Christmas list. I'm really interested in learning more about her, as an actress and as a person, because she's got such an awesome personality and I bet this book is going to contain plenty of laughs. 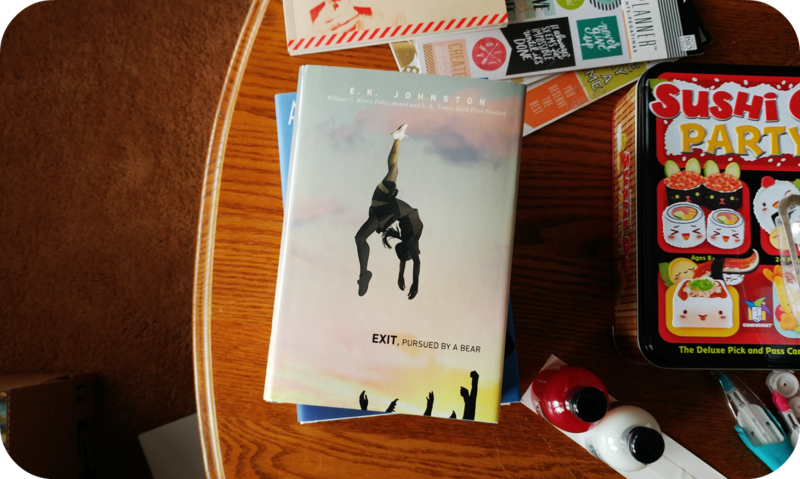 #4: Exit, Pursued By A Bear by E. K. Johnston! Admittedly this is a book I've already started reading, but I've barely made it 30 pages in, so I'm still counting it as part of my TBR list, because I've been having a lot of trouble getting back into reading lately, which is why my GoodReads yearly reading goal is a lot smaller this year. But I was captivated by the plot of this book, and it was the first book I asked for around the holidays, and I was thrilled to unwrap it on Christmas morning. I'm pretty positive that this book is a modern interpretation of Shakespeare's A Winter's Tale, mainly because the title is a line from that script and the main character's last name is Winter, but I haven't read or seen the play myself so I'm not 100% certain. I highly recommend picking up this title, and I haven't even finished reading it yet! It just screams "good read" to me! 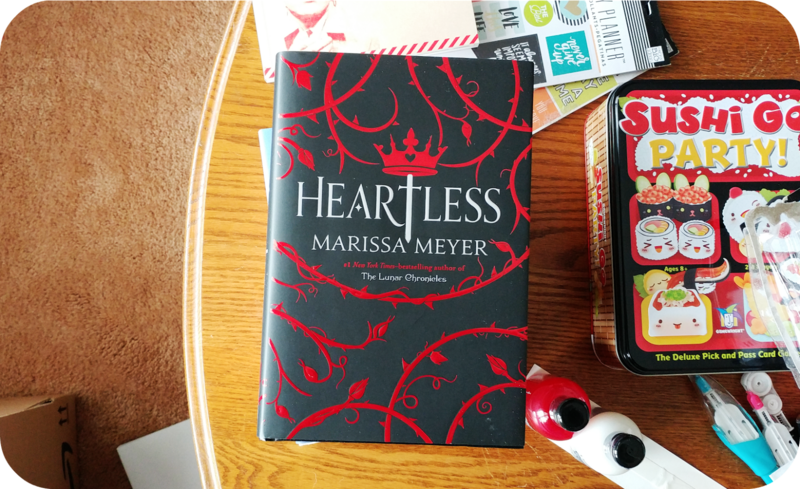 #5: Heartless by Marissa Meyer! Last autumn, I binged the entire Lunar Chronicles audio books, and I absolutely loved the series. I even gave a copy of Cinder to my sister-in-law for Christmas because I knew she would enjoy the series just as much as I did. I was super excited when I heard that Marissa Meyer was releasing another book, and because of the overall size and cost of the book, I made sure to put it on my Christmas list instead of picking it up for myself. Now I own it, and it's on my TBR list! Hi! I don't know what's on my TBR list, to be honest. I'm rereading The Pillars of the Earth for the bajillionth time--but it's a reread, like I said. Sigh. Love the Kingsbridge series. I want it to be September so I can get the next installment!